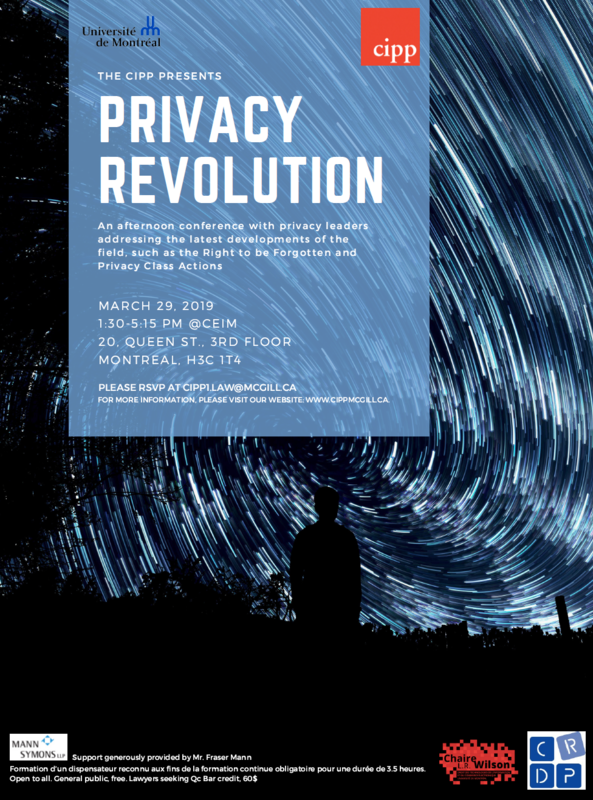 Aimed at bringing together the leading experts (whose presentations will be published by the CIPP as part of an ongoing collection), this conference poses a unique opportunity as Canadian lawmakers and courts tackle complex agendas, such as a possible adoption of the right to be forgotten in Canada or the outlook as regards privacy class actions. As privacy is being redefined amidst recent scandals involving technology giants and strict privacy regimes introduced by the EU, should Canada hop on the wagon? If so, which one? Ce contenu a été mis à jour le 14 avril 2019 à 5 h 33 min.